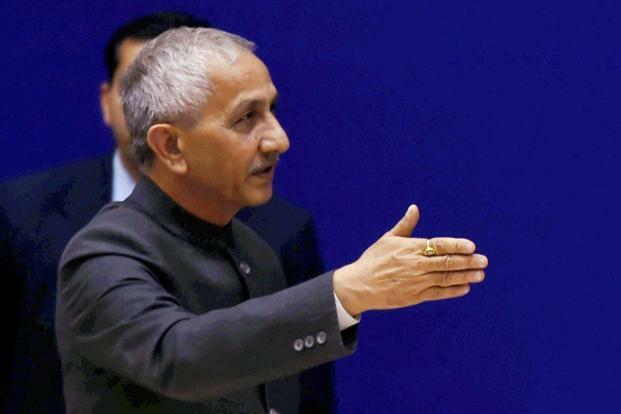 On December 26, 2017, as Dineshwar Sharma, Delhi’s new envoy in Kashmir, took time off for lunch at Baramulla’s Dak Bungalow, Azad, a media student and his three classmates waited outside impatiently. They were part of a ‘student’s delegation’ handpicked to meet Sharma during his daylong Baramulla visit. Sharma ended up meeting 18 such delegations that day. As Azad and his friends went through pointers which they intended to discuss with Sharma, a tall man, whose expressionless face added an air of suspicion around him, reached them. After exchanging greetings, the tall man told Azad and his classmates that when they go inside to meet Sharma, they shouldn’t talk about Azaadi or Kashmir conflict. Sharma, he said, already knows everything about Azadi and the conflict. Then, with a hint of authority in his voice, he advised Azad that they should focus on academic side and ask for student exchange programmes, cultural exchanges, and scholarships. “He was trying his best not to sound authoritative and ordering, but he was,” recalls Azad. Once face-to-face, the first thing Sharma asked them was, ‘kya kehrahe hain log yahan par! (What are people saying here?)’. 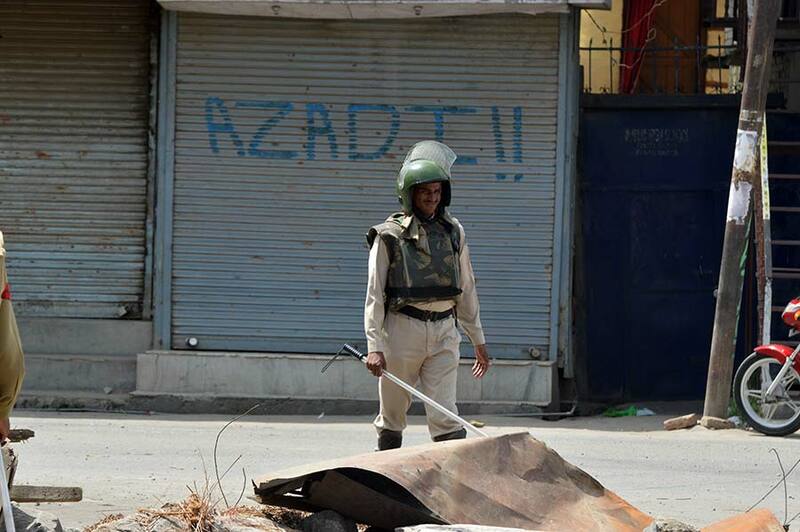 Without hesitation, a female student responded: “Azaadi”. Then, after a brief silence, Sharma asked the students about their college life and their aspirations, and what they want to do in future? Sharma listened keenly as students explained how it is to live in a highly militarized zone like Kashmir. “He then asked if students are given an opportunity to go out and mingle with their counterparts in mainland India, will it help?” recalls Azad. To this, the only female member of the group responded emotionally, ‘nothing will work unless larger issues are not addressed’. But rather than addressing the larger issue, Sharma, who was on his third visit to Kashmir, chose to keep his meetings confined to political foot-soldiers, NGOs, students like Azad, and people who are handpicked to talk about bijli, pani and sadak (electricity, water and road) only. Even the selection of people who met Sharma was marred in controversy as both Delhi and Srinagar pushed the ball into each other court. “Union Home Ministry says it is prerogative of State to select people who will meet Sharma, but State says they are following Delhi’s command!” said Prof Wani. On January 9, 2018, former Chief Minister and National Conference working President Omar Abdullah said in the State Legislative Assembly that he is still confused about Sharma’s role in Kashmir. In October 2017, after Delhi appointed Sharma, former Director of the Intelligence Bureau, as its Kashmir interlocutor, it was presumed that the incarcerated separatists would be released and given a space to express themselves so that dialogue is possible. But, by the time Sharma made his first visit to Kashmir senior separatist leader Syed Ali Geelani had already spent 48 Fridays under house arrest. “Unless you don’t get separatists on board, nothing will change,” feels Prof Wani. So far Sharma has made three visits to Kashmir where he met a number of delegations, mostly comprised of political workers from both PDP and NC. But experts feel that Sharma has failed to expand the size of the table as the entire separatist camp is left out. “Rather the table is not visible itself. He is just coming and going,” said Prof Wani. Tarigami believes Sharma should have met separatists too, as without taking them along no process of dialogue would be meaningful. At the peak of 2010 unrest, after the killing of 112 civilians, Delhi appointed three interlocutors for Kashmir, mandated to hold “sustained dialogue with all stakeholders to understand their problems and chart a course for the future”. Almost a year later, and after meeting around 700 delegations across the state, Radha Kumar, M M Ansari, and Dilip Padgaonkar filed a detailed report which was “by and large ignored by the then UPA government”. “Last time too interlocutors came and met delegations. What happened to that report? Did anyone bother to look at their recommendations, or what they have said,” asks Showkat. Months before Sharma landed in Kashmir promising an olive branch, all top Hurriyat leaders and workers are either under house arrest or in National Investigation Agency’s (NIA) custody in Delhi. “How can you expect any talks to happen in such a hostile atmosphere,” said mid-level Hurriyat activist. Apart from the top run leadership little-known separatists like Mushtaq ul Islam, Shakeel Bakshi, Azam Inqlabi, Tahir Mir, who were once the stars in their own way, are unable to fit themselves in the hierarchy in any way right now.